In this series of posts, I want to describe some work I’ve been doing attempting to apply an artificial neural network model to the problem of classifying copy number variation in a clinically-important gene, CYP2D6. I will be presenting a poster-paper on this topic at the 2018 ISMB/ISCB meeting in Chicago. Pharmacogenomics is a rapidly developing field that aims to deliver on the promise of personalized medicine by guiding pharmacological intervention using an understanding of a patient’s individual genotype for drug metabolism. By avoiding ineffective or dangerous treatments, patient outcomes could be dramatically improved and hospital costs reduced. We have developed a sequencing-based pharmacogenomics screening panel that uses targeted capture to perform deep sequencing of 200+ critical drug metabolism genes. Assessing copy-number variation is a critical part of correctly interpreting genotypes in key drug metabolism genes, such as CYP2D6. Historically, this has been a time-consuming step in our clinical pipeline involving large amounts of expert analyst time and data visualization. This study presents a novel application of an artificial neural network (ANN) machine learning algorithm to learn the complex patterns in CNV data. The result is a trained network that can quickly and accurately classify copy number events according to known training categories in the CYP2D6 gene. We show that a simple, one hidden-layer network is sufficient to achieve the extremely high accuracy and low false-positive rate required in a high-throughput clinical setting. Motivating this work is the fact that interpreting copy number variation data from targeted capture sequencing is difficult owing to several factors. First, the data are noisy owing to biases in capture efficiency and GC content. Second, the copy number variation events in a gene like CYP2D6 are complex and subtle, but have dramatic impacts on the functional status of the gene. Third, most copy number variation detection methods are optimized for whole genome sequencing with smooth and even coverage across each chromosome. A copy-ratio plot for 9 clinical samples from our targeted sequencing pipeline at the CYP2D6 gene and CYP2D7 pseudogene. Note the noise in the data. You can see from the plot that one sample (red) has what appears to be a deletion (copy ratio ~ 0.5). We do look at these plots individually, but the problem with noise and complexity remains. This means that the analyst must be, in effect, a domain expert on each gene with a clinically-actionable copy number variation. This limits pipeline throughput and is impractical if the goal is to process hundreds or thousands of patient samples per month. A role for machine learning? It occurred to me that the copy ratio data fall into distinct patterns that a human (like myself) learns by eye and with experience. These patterns could be classifiable by machine-learning methods. I considered applying a convolution neural network (CNN) to the plot above. However, I only had 175 samples in my test/train set drawn from real patients and CEPH/Coriell depositories. Therefore, I thought it would be best to start with simple models and go from there. To establish the ground truth CYP2D6 genotype, the samples had all be processed by our current pipeline methods, with many (but not all) confirmed by Taqman assay. Visualization of CNV-kit output at CYP2D6. The gray and orange lines are not important to this discussion. The important part of the plot above are the gray dots, representing copy ratio values across 19 different bins or segments along the CYP2D6/2D7 gene and pseudogene. CNV-kit also had the advantage of being well-documented, fast to run, and available as open-source software on github. Copy ratio data from CNV-kit output at the CYP2D6 and 2D7 gene/pseudogene. There are five columns to the right (four not shown) that contain “one-hot” encoded ground-truth for model training. With the data in “tidy” form (each column a variable, each row an observation, thank you Hadley Wickham), I was ready to train some machine learning models to see if I could classify common copy number variation events in CYP2D6 and bypass the time-consuming visualization step. I had no idea if this would work, given that there are only 175 samples (total) to train on and some of the more rare copy number variation events only have a handful of examples. In part 2, I will talk more about how I tried a LASSO regression model, which, while performing well, failed to yield the high accuracy needed for an automated clinical pipeline. I then tried a simple one-layer neural network approach. I’ll talk about the surprisingly good performance of neural network approach and also future directions for this project. A schematic of a Convolution Neural Network (CNN). Watch a lecture by the “godfather” of neural nets, Geoff Hinton. 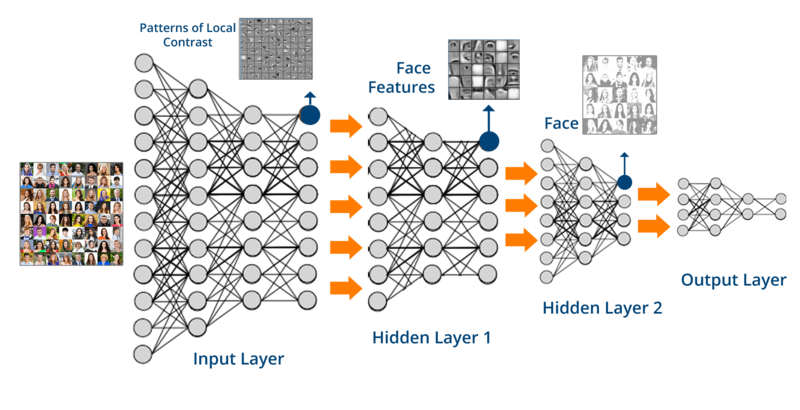 Take a top-ranked online course on Deep Learning. Learn the math behind them. Code one yourself in python.